As the fall term is closing, time seems to be moving fast. Many great things have been happening as we close in on the Winter break. We got students doing all types of creation projects with iPads. There are students creating videos through Movie Maker. As we close in on the end of the fall term, let’s keep the learning moving forward. This will be my last week on campus this fall. I will return to my normal campus schedule starting the week of January 11. I will still be available to you if needed. Please e-mail and I will see what we can arrange to address your needs. We have all been dealing with the slow network speed over the last couple months. We are all in this together. Rest assured, our network department is working hard to correct this issue. This has been the top priority of the networking team. Sign in to Outlook Web App (NOT desktop Outlook). 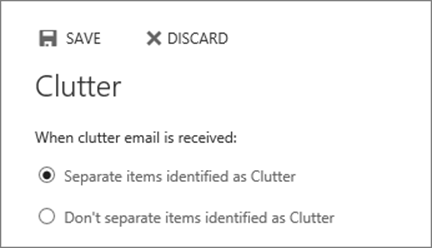 Choose Don’t separate items identified as Clutter, then Save . Once turned off, mail should stop going to your Clutter folder. 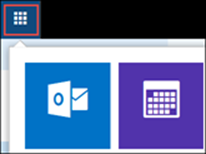 Messages that are in the folder will stay in the Clutter folder and will need moved manually. Also, the Clutter folder will remain. There is no way to delete it. Recently the district released the climate survey’s for students, staff, and parents. While the student and staff surveys are easy to promote because of accessibility them, the parent survey frequently gets overlooked. Please promote this survey to your students’ parents. Copy the above link and send to out. We need their input. Even though I’ve shared this in the past, it’s worth sharing again. Need a quick way to take a picture of a specific part of your computer screen? 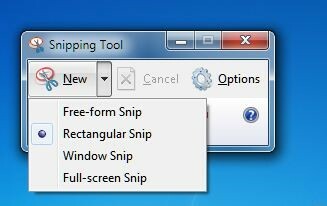 The snipping tool is a great resource that’s ready to go on your computer! The Snipping Tool will automatically open. Use your mouse to click and drag to select the part of the screen you would like to snip. Like what you snipped? Click File à Save As to save your file to your desktop, OneDrive, H: drive, or removable storage. Looking to have fun with someone this holiday season. How about a prank gift box? Make the recipient believe they have been given a Hot Lip Face Warmer or an Earwax Candle Kit. Check on this site for some funny and borderline disturbing prank gift boxes: http://prankpack.com/. You buy the box, then fill it with a legitimate gift. Wrap the box and wait to see their reaction.